In today’s class, we started on the dark side of valuation, where we value difficult-to-value companies. We started the valuation of young, growth companies by emphasizing that you will be wrong 100% of the time and that it was okay, because the market is usually even more wrong. I argued that to to value a young company, you have to visualize what you see as success for it and work backwards to get the numbers by year, and adjust this valuation for the likelihood that the company will not make it. We then moved on to companies in transition and how you can arrive at two values for these companies: a status quo value and a changed-management value and how you have to take an expected value. So let's talk a little bit about this kind of cash to valuations today with the continuing value companies starting with young companies. But. Let's few of your your company your value and so make this about your company supports the company valuing. Is badly managed badly run. And it's horrifically bad corporate governance. You know what that means right. There's no chance you can change the management of the company. You come up with the discounted cash flow valuation of 100 million for this company should you discount that value for the fact. That it's got bad corporate governance and bad management. Why not. And I think that's critical because when you think about it this year that this didn't come from some where it came from your estimates right. So if you asked me Should I discounted your the question then when I ask you when you project it out the cash flows. Did you assume that this company would continue to be badly managed and badly run. And what are the numbers that are going to give that away. If you have a lower return on capital and a high cost of capital and you continue to do that and you continue to reinvest money. It's kind of insanely badly run company but you vote in the numbers. If in your DCF you assumed improvement in margins through to turn Gabu go to the cost of capital then in a sense you might have overvalued the company right because you both then that change will come with the change going to come. Bad corporate governance. That's why when you do your DCF you've got to constantly stop and I that story. What is the story I'm telling by the company because that's going to allow you to answer the follow up questions. So let's say you finished a DCF valuation you come up with the value of twenty dollars per share. You used conventional accounting numbers to capitalize the cash flows to come up with that value. And then you remember what you talked about in this class about capitalizing on Indee he decided to capitalize on ending. So here's my very simple question. We're capitalizing on indeed leave your value unchanged because our free cash flow is your free cash flow capitalizing Andi doesn't actually change last year's cash flow. Will it go up because now you're making. You're going to reinvest towards. Will it go down because now you're treating it as a capital expense or could it be any of the above depending on the company. Which is the answer cannot be if it were a we've been wasting our time. Right. Because the effect on value is nothing. Why did we even waste our time going through the data so it cannot be a questionis and why you're right about the why when you have laws already it's going to make effect to both sides and that's going to change. Cash but there's a simpler way to think when they capitalize on what am I doing I'm raising it to the level of a project and asking Are you taking good projects right. In other words of RNC is being done efficiently. You're on the go. 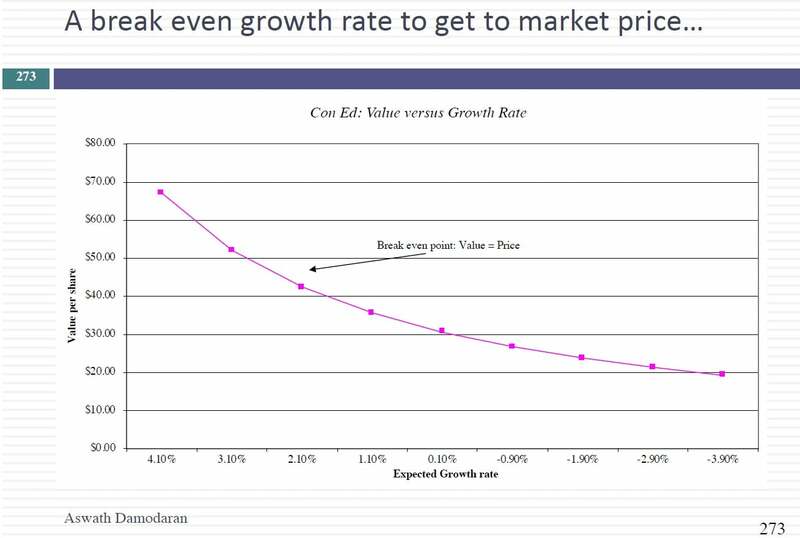 CONAN Kapitan there already that is higher than the cost of capital capitalizing on you will actually increase your value. But if you are a company that spending money in India has very little earnings to show for it. Capitalizing on the will of God that's precisely why we value our needs to get a sense of your money value destroying company or value increasing company. And I want to offer you contrast Mirkwood says Amgad Merck has spent the last ten years throwing money down the drain is nothing to show for it it's been I think 150 billion dollars 9D nothing to show for it. But you look at Amgen and it's starting to slow down. It's investor larding are indeed but it's had. Earnings increases that come from it. That is why we capitalized Sieghart capitalize ARDE. And finally. Let's suppose you do a discounted cash flow valuation of a company which has significant debt and is just teetering on the edge in terms of. I'm not on the move past bad but bad night movie Pye's there's nothing to do devalue the company zero. Notice that they issued additional shares said point zero zero six cents a share. And as tenured point 006 cents Your point being point 0 0 6 cents more than you should. But let's suppose you're a company where earnings are negative right now and there's a lot of debt this is going to be true for quite a few of you. You have a company with a lot of debt negative earnings. You do this kind of cash flow valuation and you fix the company. What do I mean Buffett the company where do you live in a spreadsheet. You take a negative margin you make them positive. You take the high debt ratio and you make a low debt ratio on a spreadsheet you can fix just about any company even a movie pass. You come up with a discounted cash flow valuation of a billion dollars for the equity of the company. You've done a discounted cash flow valuation but I've described this company as a company which is money losing and has a lot of debt.